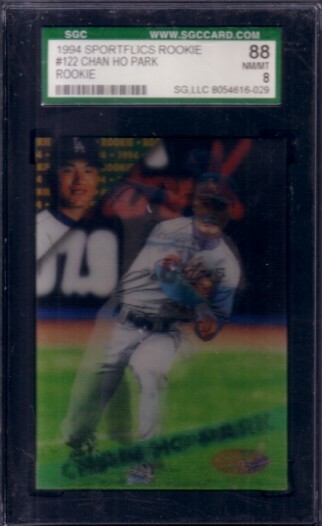 1994 Sportflics Rookie/Traded Rookie Card of former Los Angeles Dodgers All-Star pitcher Chan Ho Park, graded 88 (NrMt-Mt) by SGC. ONLY ONE AVAILABLE FOR SALE. 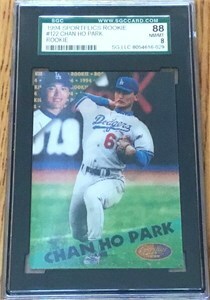 Chan Ho Park autographed Los Angeles Dodgers 5x7 photo inscribed All the best!